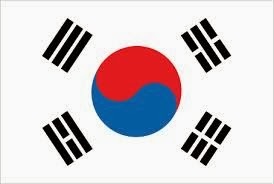 One very important information you should know as EPS Worker of South Korea is that you won't go home penniless. That is the beauty of working as OFW here in South Korea, whether you have saved money from your monthly wages or not, you still have benefits to claim so when you go home, you have money to start up a new chapter of your life. In case you don't know what are these benefits, I will share this information to you and how to claim them. This is known as Kukmin. This is you and your employer's monthly contribution and you can get the lump sum after your contract or your final exit. To check how much money you and your employer have contributed, click here and follow the procedure for online inquiry. Note that your lump sum refund will only be claimed when you are already in the Philippines. The company will pay you a severance pay if you have served for at least one year. Based on the new rule, every worker can receive a severance pay regardless of the number of the workers. One (1) year of employment is equivalent to one month basic salary. If you decided to leave after one year of service, you can get equivalent to one month basic salary as a severance pay. From your first ever salary as an EPS worker, you have been deducted the amount of 400, 000 won. This is actually for your plane ticket back to the Philippines. Whatever is the outcome of your career here in South Korea, you can surely come back home because of this Return Cost Insurance. You sure can buy a ticket back to the Philippines with this amount. You can visit Samsung Fire and Marine Insurance Co., Ltd. office at Samsung Insurance Bldg., 87, Euljiro 1 ga, Choongku, Seoul. In case you have finished your contract or you will about to take your final exit, don't forget to claim your benefits. Sir good day po may 24 hours po bang bukas na banko sa incheon airport? Hi im here in the philippines and i will not going back in south korea what options i have to get my samsung insurance and my kukmin thank you so much. hi gerard. you may want to check this list from the POEA website. They posted the name of workers who haven't claimed their insurance. If your name is not there, then ask POEA about it. They may provide the updated list for you. The good news is, Korea will really give your money no matter what. Thank you po kabayan sa napakahalagang inpormasyon na sinulat mo. Actualy matagal ko na pong hinahanap ang inpormasyong ito, malaking tulong po ito sa amin lalo na't papalapit na akong mag exit. Mabuhay ka kabayan. Kabayan may tanong lang po ako. Yong Severance Pay at Samsung Insurance within 1 month din po ba ang pag file non kagaya nang NPS or Kukmin? Thanks in advance. Thanks kabayan. Last question ko po kabayan; yong pag file po nang Severance Pay sa Philippine Catholic Center hindi na po ba kaylangan ang payslip? Ibang page na open pag nag click ako sa link. Wala bang bank pag sabado saka lingo para makuha ang kookmin sa airport? hello. AFAIK, open naman po yan sila always sa airport. no sir. Ang contribution kasi sa kukmin is every sahod. If nag stop na po kayo nagwork and if you still have remaining, let's say 5 months, then wala po kayong kukmin for that remaining 5 months kasi hindi naman po kayo nagtrabaho. Your kukmin will only be computed based on the number of months na piangtrabahuan nyo. hi sir pano po kung na deport po pano makukuha ung return cost na 400,000? Hi sir. Pano po. Nkpagpaalam n ung hisband ko na mag bakasyon ng pinas nung aug. 3 weeks approved. Tpos 1 week nlng biglang sinabi n di sya pnpyagan. E my ticket n sya. Pinapirma sya na gang dec nlng sya sa trabaho nya kung uuwi sya. Umuwi husband ko. Ano mkukuha po ng husband ko sa december?. May benefits pdin po b? No sir. Until 7 pm lang. Better go to the airport sa hapon pa lang. Hi po, ano po ang mga maaaring idahilan sa employer kung ang isang worker ay gusto ng ihinto ang pagtatrabaho o gusto nang umuwi?,sa legal na proseso po, salamat. Magandang Araw mga Kabayan! May link po ba kayo kung anong proseso pag apply sa Korea? O kung ano po ang magandang gawin step by step. Salamat po.